Fun and Creative ideas for Teaching English: Norway’s First Youth-Only Library for kids ages 10 to 15. Adults not allowed! 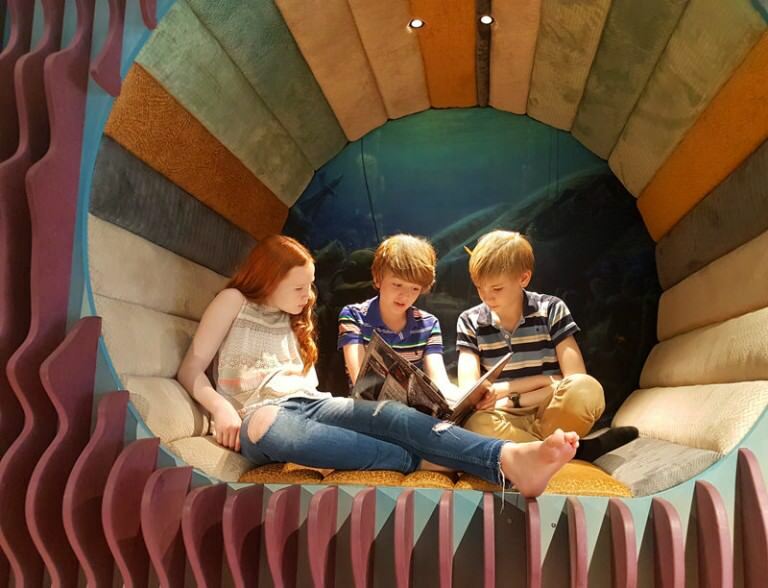 Norway’s First Youth-Only Library for kids ages 10 to 15. Adults not allowed! Forget what you think about libraries! Biblo Tøyen, one of Oslo Public Library’s (Deichmanske bibliotek) newest additions, is breaking and changing all the library rules! This is a unique and innovative space, created for young people ages 10 to 15. The design team went directly to the source to begin their mission to rethink and redesign the library space. They held focus groups with young people to find out their wants and needs. The youth said they wanted a place to hang out, relax, and escape parents and siblings. In addition, they needed a safe place to socialize and said it should be a space where they can create and do things together. The library has achieved these goals by creating a cool and comfortable ‘third’ space between school and home where youth can learn, explore, and be themselves. Learning, reading and books are still the focus of the library but that is where the comparison ends. The dedicated staff wants to motivate and instill a love of reading and learning in young people through fun and educational activities such as drama, music, cooking, computer programming, 3-d printing, and Lego building. In the center of the library is an old Volvo truck, nicknamed Teddy, pimped out with a functional kitchen in the back and a sofa in the hood. 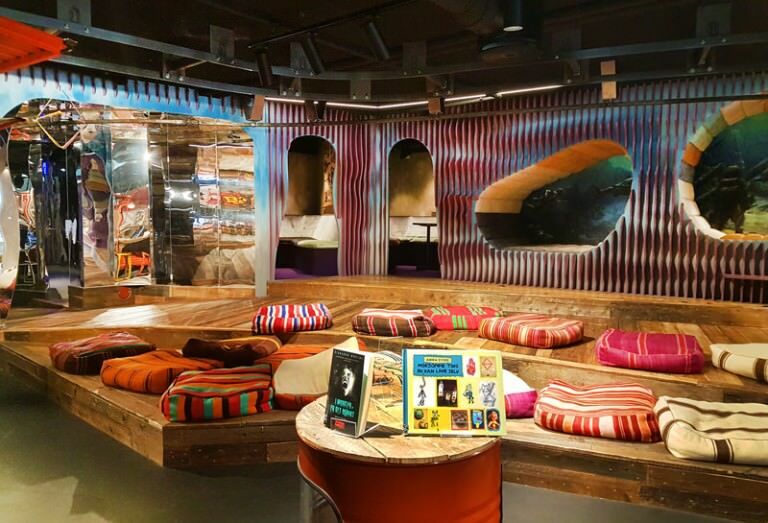 Members can read while lounging in a wheelbarrow, work on homework inside a converted tuk-tuk, or discuss group projects in an old ski gondola hanging from the ceiling. The entire library embodies and encourages creativity and imagination. Say goodbye to the old fashion library classification system! Books are grouped by themes or features such as ‘animals’ or ‘short and good’ so a science fiction book may be next to a book about robots to encourage discovery in more natural way. In this way, no book has a permanent location and all the bookshelves hang from rails on the ceiling making it easy to rearrange the space for different functions and events. Exciting news! By the end of June 2016, Biblo Tøyen will implement a book drone system. All books have radio tags on their covers and every night a drone will fly over the bookshelves to scan and locate each book for easy access the next day. The check-out system has also been given a technology infused upgrade. Library cards have microchips so check-out is quick and simple. However, with all the cool and cozy spaces inside many of the young people won’t want to leave! For those only young at heart or those outside of Oslo enjoy the glimpse into the sweet life of Oslo’s youth at their very own library through TheOsloBook’s exclusive pictures. Or just visit!